Every existing circulation record on the newspaper’s books happened during his tenure. In 1997 he achieved a long-standing goal and pushed the circulation of the newspaper over 400,000 for the first time. In 1998 he achieved a magical one million readers target for The West Australian’s Saturday edition. He modernised the look of the newspaper and introduced a range of new attractions from Inside Cover to the Today section to Super Soccer. In a major career move Paul accepted an offer from Radio 6PR in March 2000 to replace Howard Sattler as host of the station’s all important morning current affairs program. In his six years as host of this program Paul was recognised as one of the leading current affairs broadcasters in W.A. 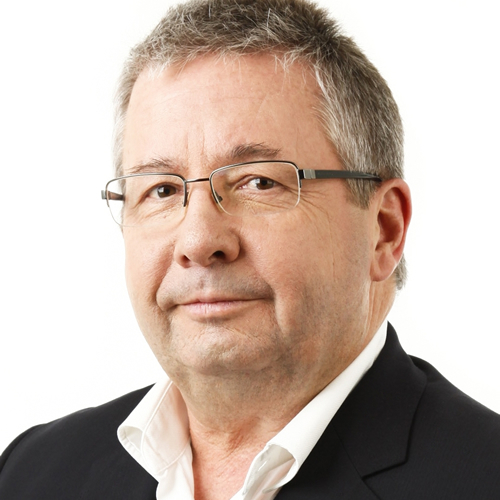 He resigned from 6PR in March 2006 and returned to The West Australian as a columnist and specialist writer 6PR asked Paul to return to the station to present one of their leading current affairs programs in January 2011. He fulfilled this role until December 2014 when he retired from radio and now focuses on his regular columns for The West Australian. Fired up by the nickel boom, he went on to study geology at the University of W.A. After two annual holidays spent working underground in Kalgoorlie’s gold mines he realised that geology was not for him and went to work for W.A. Newspapers in 1969.
a daily to challenge The West Australian. After two years with no sign of going daily, Paul went overseas to live in France for a year. University of W.A.’s Lovekin Prize in 1985 and the Daily News Centenary Prize in 1986. He also won the Beck Prize for political journalism in 1986. Paul is an excellent communicator and entertaining speaker for conferences, seminars and motivational events. He can speak on a wide variety of topics ranging from Communication, Leadership, Business & Media Ethics, Current Affairs, Treading on Toes and can adapt his presentation to suit your specific requirements. Paul brings credibility, a strong journalistic integrity, and an engaging personality to all of his presentations. He has made a career out of fearlessly bringing the news to the people of W.A. He is not afraid to tread on the toes of the powerful – and one of his favourite topics now is about the dangers involved in warts-and-all journalism in the most isolated capital city in the world. Paul is also a first class master of ceremonies and has hosted numerous government and corporate conferences and awards evenings.